Controlled emissions from industries, power plants and waste incineration are governed by environmental licensing. By enforcing stricter regulations industrial emissions have gone down considerably but they remain a major contributor to long-range transport of pollution. 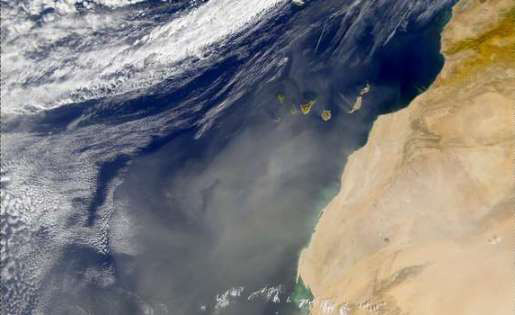 Air pollution travels long distances: Sahara sand blown of the African coast contributes to PM background levels in Europe. When trying to deal with local air quality, traffic is the obvious choice for action. Solving local problems can be achieved by emission reductions through cleaner vehicles and the reduction of traffic numbers for example by promoting public transport. Local problems might also be solved by planning solutions such as rerouting traffic and avoiding the creation of local hotspots or spatially separating people from roads. Though this reduces the exposure of people to high concentrations, these measures do not improve the air quality itself. Traffic also causes noise pollution and what was traditionally called a “noise screen” on the borders of the roads also turns roads into small "stacks". The walls increase the traffic emission heights slightly and ensure better dispersion and lower concentrations immediately adjacent to the roads. Apart from alternative fuels and cleaner vehicles: measures that reduce air pollution, to some extend, reduce noise as well, and vice versa. These measures include smoothing traffic flows, speed reduction, access restrictions, promotion of electric/hybrid cars, modal shift, etc. Trying to get people out of their cars seems an appealing and obvious solution. Surveys have shown that half of the European car journeys are shorter than 3 km and that one in eight journeys is shorter than 500m. This suggests that these journeys could have been made in other ways, thereby reducing the number of cars. It also implies that these journeys are particularly polluting: catalytic converters used in modern cars to keep the exhaust relatively clean only work properly after driving a few km. Industrial air pollution is an area not to be neglected even though the immediate impact of emission reduction at the local level is often very modest. Especially for particulates local governments are faced with very high background concentrations that are not directly linked to local sources. These high backgrounds can not be improved by local abatement plans. 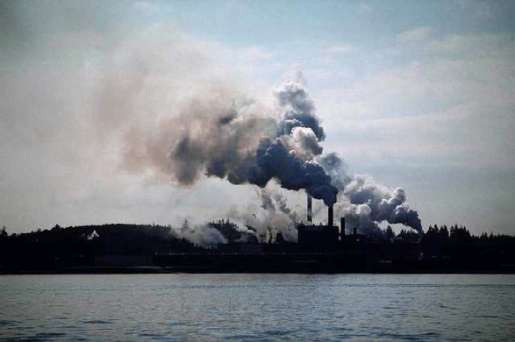 High background concentrations and more global phenomena like acid rain are often caused by these industrial emissions occurring from high stacks. The national emission ceiling policies are aimed at large scale structural emission reductions. On the European level air quality is governed by a series of initiatives and directives to reduce emissions and improve air quality (see links section). The 6th Environmental Action Plan and its thematic strategies is the policy response to address these pressing societal problems. The Clean Air for Europe programme (CAFE) within the 6th Environmental Action Plan has developed the thematic strategy for further reduction of air pollution and its effects and has prepared the ground for a new Air Quality Directive. The so-called CAFE Directive (2008/50/EC) was published on 21st May 2008 and merges earlier directives into single directive on air quality. The CAFE Directive introduces new objectives for fine particles PM2.5 but does not change existing air quality standards. It does, however, give Member States greater flexibility in meeting some of these standards in areas where they have difficulty to comply. The deadlines for complying with PM10 standards can be postponed for three years after directive's entry into force or by a maximum of five years for nitrogen dioxide and benzene. The CAFE Directive addresses regular assessment of air quality through monitoring and modelling in agglomerations with more than 250.000 inhabitants, requires the development of Action Plans for the improvement of air quality and defines obligations to inform the public on the air quality situation.